When your tooth hurts, it’s incredibly unpleasant and often described as a pain unlike any other. 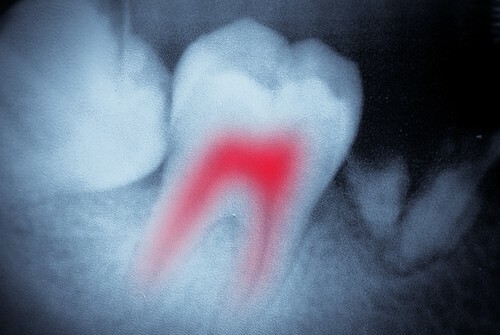 There could be any number of explanations for the discomfort, but sometimes the problem is pretty serious and may require a root canal. But how can you tell? Let our McLean dental office help. It’s Not So Bad — Really! Root canals have a pretty bad reputation as being painful. But the truth is, root canals actually stop the tooth pain. When your tooth becomes so infected or decayed that it hits the inside pulp, it can be incredibly painful. Once your McLean dentist cleans out the area where the roots are located (the canal), and covers it with a filling or dental crown, relief will feel so good. Before beginning, you’ll be numbed to avoid any discomfort. Once the medication kicks in, your dental team will get to work. First, a tiny hole is made in the infected tooth which allows access to the middle of the tooth, known as the pulp chamber. This is where the root canals are located. The root canals house pulp, nerves, and blood vessels. Your dentist will remove any and all of these materials, making your tooth no longer able to feel anything. After a thorough cleaning, the canals are sealed and the tooth is capped with a restoration. The best way to prevent the need for a root canal in the first place is to brush and floss everyday to rid your mouth of the day’s bacteria and food particles. And speaking of food, limit eating sugary or acidic foods. These types of eats can weaken enamel and increase bacteria, leaving your teeth at higher risk for decay. Lastly, always keep your dental cleanings at least every six months for an extra-deep, extra-thorough cleaning you just can’t get at home. If you’re having tooth pain and think you may need a root canal, give our McLean dental office a call. We’ll get you scheduled as soon as possible, get to the root of the problem, and discuss the best treatment options. Don’t let tooth pain linger, call for an appointment as soon as possible. Welcoming patients from McLean, Arlington, Tysons Corner.